Now that I'm all finished for the semester, I've started in on some summer reading. Today I finished Out of Solitude by Henri Nouwen (which I could not recommend any more highly) and started reading Multiply by Francis Chan. I try to read whatever I can from Chan, not so much because I like what he has to say (in fact, quite often I don't) but because I think he's an important voice in the church. For some reason the evangelical tradition seems to have elevated him to "prophet" status and although in many ways it's a stretch for me to call myself an evangelical, I still haven't given up on the evangelical ethos. Chan's book Multiply is designed more as a curriculum than a book. It's designed for people to go through it together in pairs - a 'disciple' and a 'teacher'. Now, I know I have a history of being critical of Francis Chan... even when I was in college, when he spoke regularly at APU, I was that guy who wasn't as excited as the rest of my friends that Francis was speaking. But regardless... picking up Chan after reading Nouwen is probably a mistake for anybody. There's this underlying assumption, throughout Nouwen, that people are valuable as people and that ministry is an art of patience--patiently wading into the humanity of the other with no external agenda--out of which divine encounter occurs. 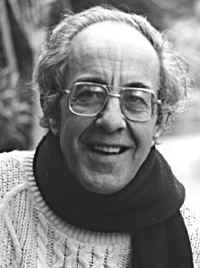 Presence is the basis of ministry for Nouwen. And it seems to me that presence is the basis of ministry for Jesus too. "The friend who cares makes it clear that whatever happens in the external world, being present is what really matters" (OOS, 35). Nouwen invites Christians to see ministry as participating in the God who came to share our suffering. This means that we are to become people who, "instead of giving much advice, solutions, or cures..." are willing to embrace the other on their terms and love them in their humanity. Who is the 'teacher'? And who is the 'disciple'? These distinctions are not yet determined... We are to be people who "can tolerate not-knowing, not-curing, not-healing..." and can face with others the the reality of "powerlessness" (OOS, 34). For Nouwen, it's all about presence. "Discipleship" (not presence) has become the buzzword in evangelicalism. Throughout Multiply (and keep in mind, I just started reading it... maybe it gets better) I've come across bits and pieces which have been difficult for me to accept. Coupled with some questionable exegetical moves, there're some parts that just irk me. And I think it's all got to do with the underlying presupposition behind Chan's work... that discipleship is about disciple-making. 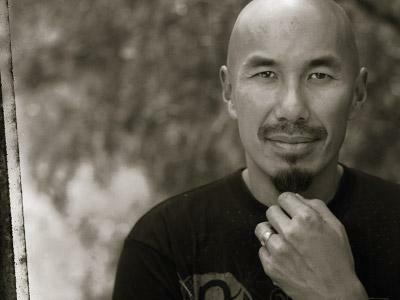 It's always been Chan's presupposition that ministry is about changing lives, which he defines as "making disciples." I hope he would think that this is a fair assessment. For Chan, the hard reality is that if people don't 'accept Jesus' and change their lives, then they'll be sent to hell by God, to suffer there for all eternity. As disconcerting as this may be, this is not yet the problem. The problem is that this apocalyptic threat of eternal damnation has become, for Chan, the very basis of ministry and the basis of discipleship. Making disciples is the goal, because if you can make people into disciples, then you'll save them from hell. Think what you want about hell, but as soon as it becomes the basis of your ministry--as soon as ministry becomes about changing people or "making" anything, even disciples, out of them--then you've introduced an ulterior motive into the relationships of ministry. As soon as you make this move, it will be difficult to make the kind of move that Nouwen wants us to make. In fact, ministry as presence and ministry as disciple-making are incompatible. Discipleship - living life in the way of Jesus - actually has a lot more to do with presence and with entering into relationships than it does with making disciples. For Jesus, presence preceded change, care preceded cure (OOS, 31-32). Early in the book, Chan writes, "the Multiply process..." and yes, he calls it a process... "is meant to be highly relational" (Multiply, 10). But the sentence which got me to my computer to write this post was this one: "Jesus commands you to look at the people around you and start making them into disciples" (Multiply, 35). He continues... "God has placed these people in your life so that you will do everything you can to influence them" (Multiply, 36). To see people through such a lens (and I know this from experience, I've worn that lens) precludes actual relationship. You might be able to fool people into thinking that you're being relational (and you'll have good reason to do this if disciple-making in the goal because relationships are the most manipulative and effective means for changing lives) but your true motive will always be conversion - not relationship, not presence. You can't actually minister to someone when you're just trying to make them into a disciple. You can't love a person when you have ulterior motives. For Chan, disciple-making is the basis of ministry, you make people into disciples and you're doing ministry. Indeed, for Chan, discipleship is all about disciple-making. For Nouwen, however, discipleship itself is entering into relationships in the way of Jesus Christ without any other motive. We have to "take away the many barriers" - even those that seem so utterly "biblical" to us - "which prevent us from entering into communion with the other" (OOS, 41). When your sense is that you are being commanded to "look at the people around you and start making them into disciples," then you're going to miss out on actual relationships and, therefore, on actual ministry. You're putting the cart before the horse, putting cure ahead of care and turning discipleship into disciple-making. If we have the desire to see lives changed - and I affirm the desire for people to experience the love and the salvation of God in their lives - then we're going to have to have the patience to see people not as objects of disciple-making but as real people in whose humanity we can share. The only way we can change people is to strop trying to change people (which means we actually have to be suspicious of what I just said). We need to becomes artists.... we need to have the patience to drop our 'disciple-making' agendas long enough to look at the people around us and just see... people.